The Red-necked Grebe lives in Alaska and Canada and winters on both the east and west coasts of America. 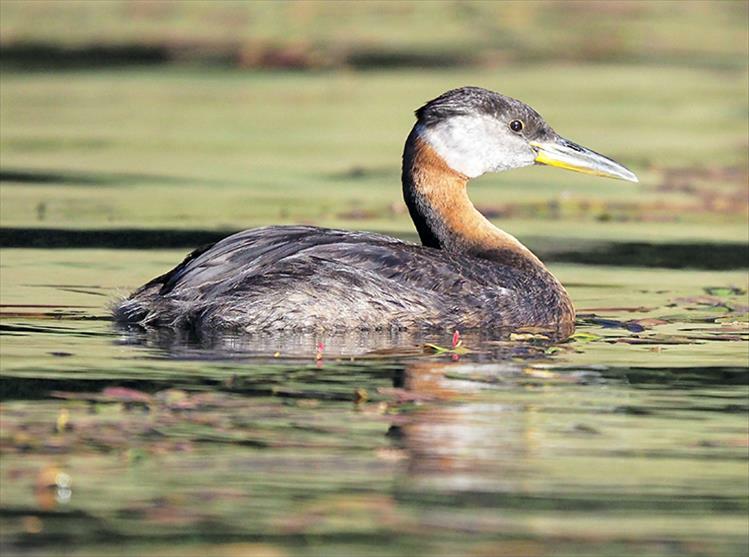 Interestingly, the Red-necked Grebe not only eats large quantities of its own feathers, it also feeds its feathers to its young. Although unclear why the birds do this, it is hypothesized that they may do this to protect their stomachs from bones and other hard objects it ingests.